A few weeks ago I came across this amazing printable from Clones N Clowns and Bonjour Darling. I just loved it. Really, really loved it. Like kept thinking about it and smiling throughout the day kind of thing. 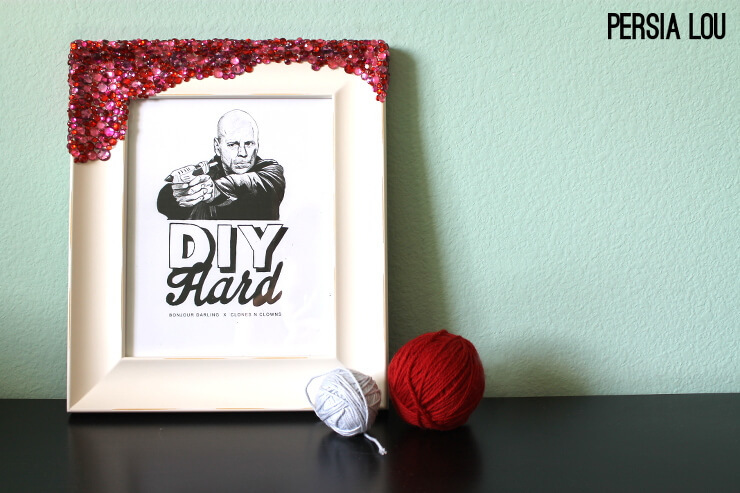 I mean – Bruce Willis with a hot glue gun! How cool is that? Almost immediately I decided I wanted to share it with my sister (she’s kind of a craft MacGyver), so I started to think about ways to turn the printable into a cool gift. Time to make an awesome frame! Right away, Bruce told me I needed to use a hot glue gun. And that meant rhinestones. A lot of rhinestones. 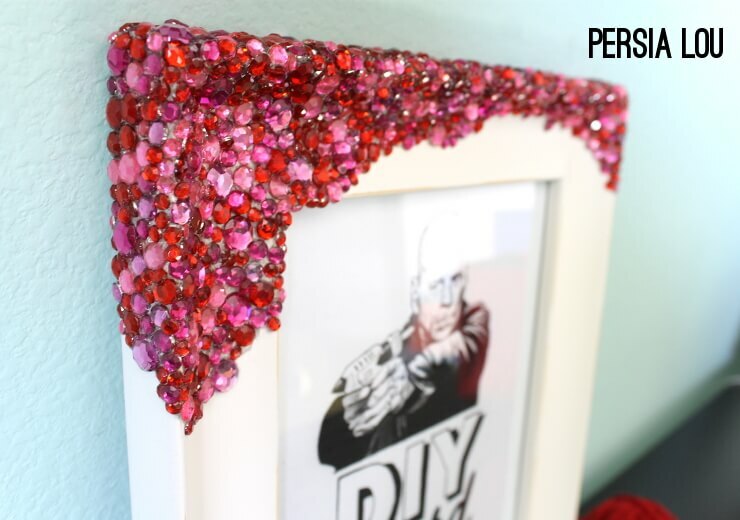 I had a vision of a rhinestone crust growing out of the frame. Like rhinestone barnacles. Is that weird? Basically, I pulled out a bunch of red and pink rhinestones in different sizes and started gluing them on. 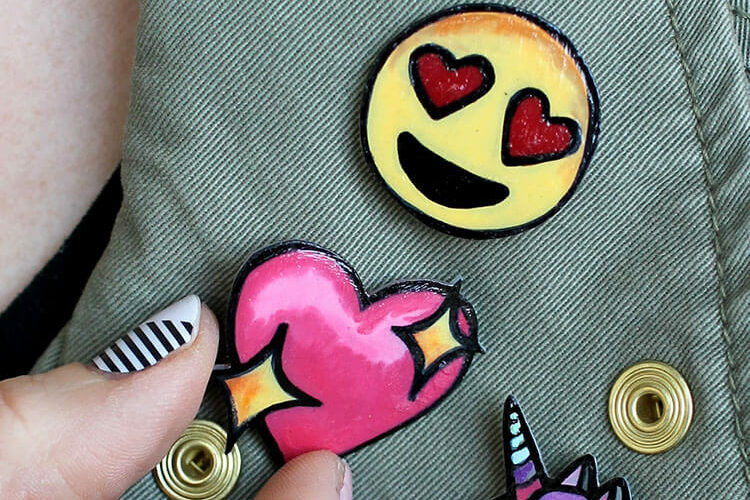 Hot glue can be a little tricky because it hardens so quickly. I could only put glue down on a small area at a time, which was a little tedious. It definitely took a bit of time and I was pretty much covered in hot glue strings by the time I was done, but I really like the way it came out. I tried to fill in all the gaps and went for an uneven organic edge and shape. And when the frame was all done, I thought of another favorite printable I had pinned that would look awesome in my rhinestone crusted frame. 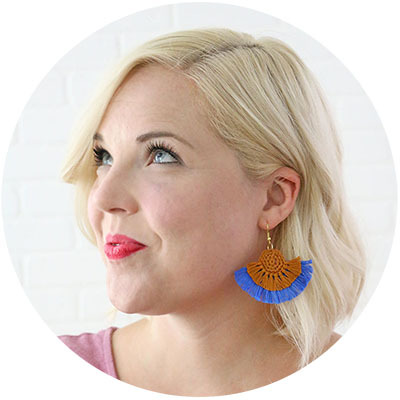 You can get that awesome printable from Ms. Amy over at Club Narwhal (who, by the way, will be guest posting here at Persia Lou later next week with a super cool holiday printable you are not going to want to miss!). Doesn’t it look great framed up? Totally gift-worthy in my opinion. 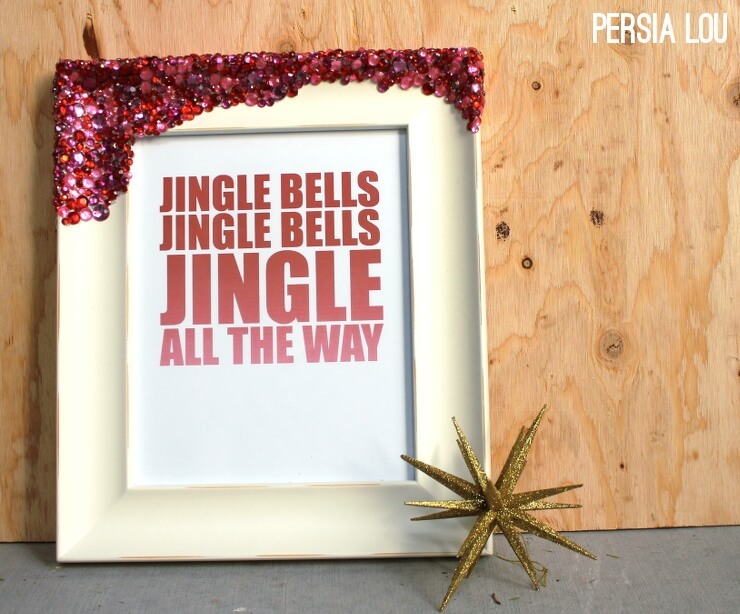 I’m thinking this frame could definitely work for holiday decor too. I threw together a little holiday printable to test out my theory. Yep! It’s just a simple little thing, but if you like it, you can download it for free HERE. Anyway. I love this gift idea because there are so many great printables out there, you can find a perfect one for everyone on your list. 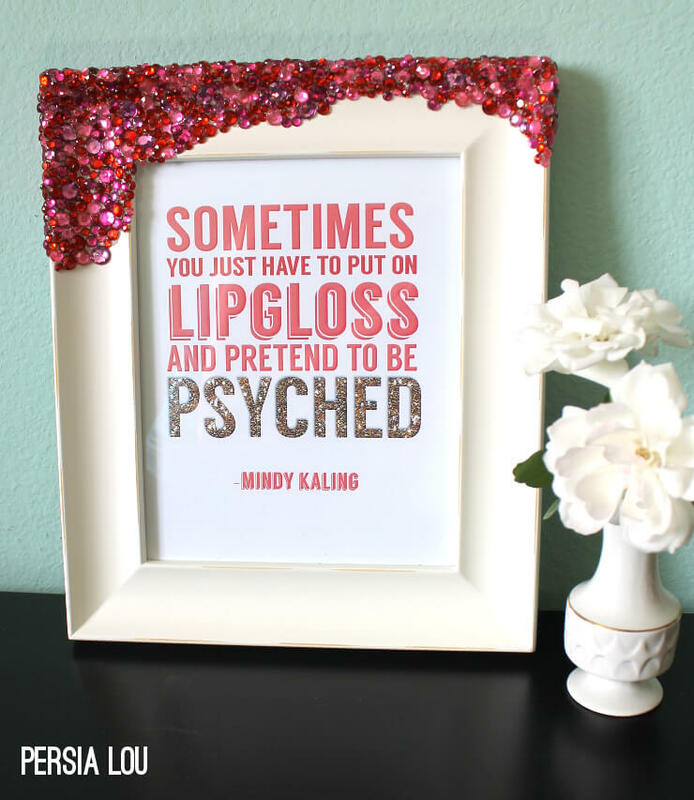 Do you have a favorite printable that could be framed up and gifted? 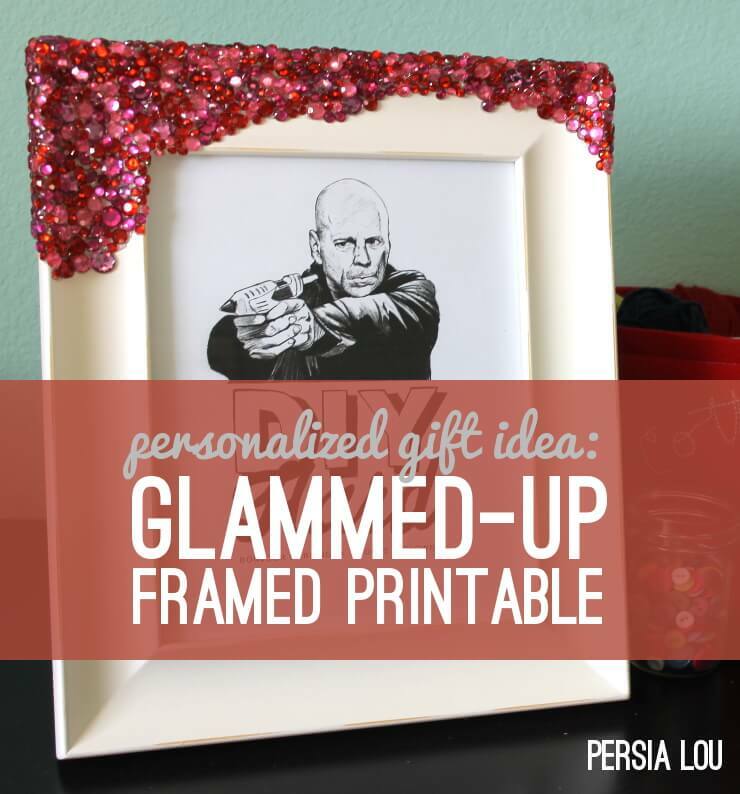 hehe love the Bruce Willis print :-)<br />great job on the frame, very glamorous and it does fit great with the Christmas quote! Oh. My. Glue gun. That print is beyond amazing. At first I imagined the rhinestones were meant to look like dripping blood. Pretty, sparkly blood, from being shot with a glue gun. Now THAT&#39;s weird. But very cool :). Awesome project, Alexis! Thanks for the heads up about the print. I most definitely will be framing it. love love LOVE this frame!!! 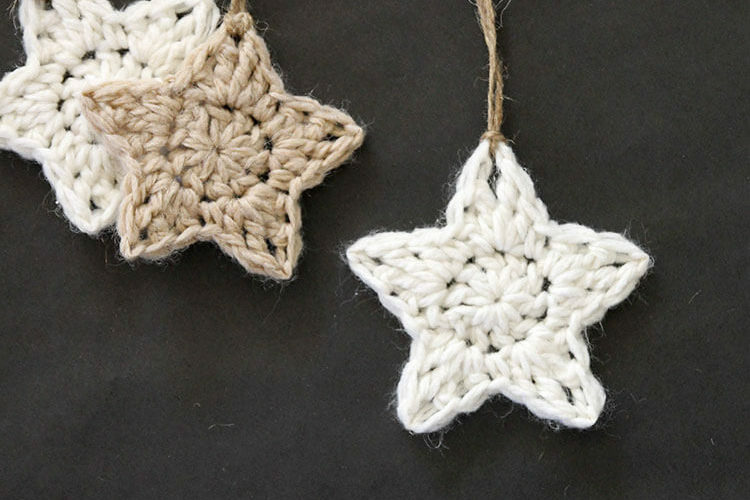 What a great idea, beautiful for Christmas! HA! You&#39;re DIY Hard print made me laugh. Whoohoo! 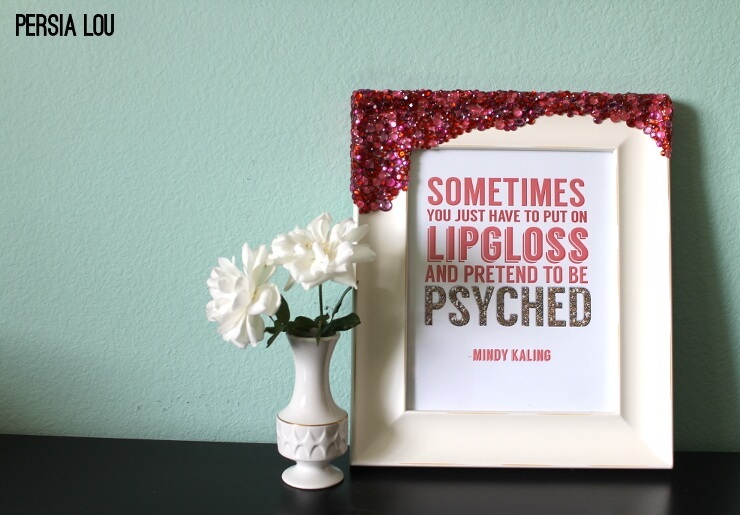 I love how glamorous my Mindy printable looks in that dazzling frame! That printable is hilarious, I will have to check out that blog. 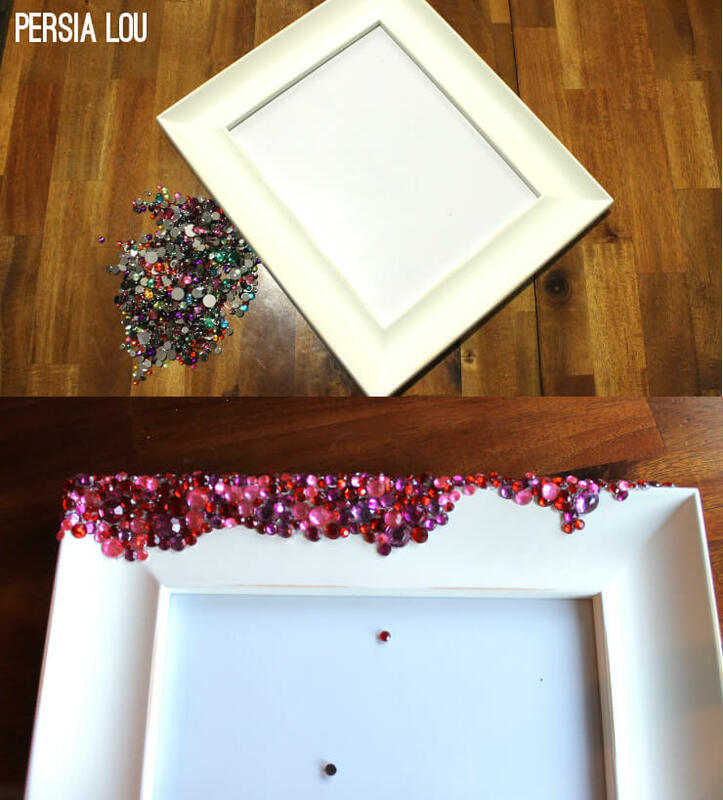 Plus I love the rhinestoned frame you made to put it in! This is a gift I would definitely love!